As some of you may have read on my Monday Quiz post, I got to hang out with some very cool Charleston area bloggers at a Shutterfly Live Event on Sunday evening! We all meet up at Bocci's Italian Restaurant downtown and I took a ton of pictures and promptly left my camera on the table there... I've been sick for the past few days and haven't been able to run back downtown to get my camera, so you'll have to believe me when I say that the food was absolutely yummy! I just couldn't wait any longer to tell you all about the great women I met, and about the new Shutterfly Family Photo Site that we were introduced to, so bear with me and I promise to showcase the photos I took soon! First off, I'd like to thank Desi from Wee Share for organizing the event - and sharing her picture of all of us, so that I could include at least one pic. It was great meeting up with Shannon from Coupon Savings in the South and Heather from I'd Rather Be Changing Diapers again and meeting Courtney from Crunchy Beach Mama, Anna-Leigh from My Lens is Ruby Red, Kelly from Honor, Courage, Commitment, Lindsey from Lounging With Lindsey and Alison from Making a McHome! We got to spend a little time talking about our favorite Shutterfly products - and you know that I make all my invitations there, but I didn't realize how many more great products Shutterfly was offering now until Desi showed off some of her recent creations - like a great ornament for her daughter and my personal favorite! A great fleece blanket with a favorite photo on it! You can also make a photo collage blanket too - perfect for snuggling at the holidays! We also talked about some great photo tips - like making sure you've backed up your photos (and using Shutterfly to upload and save your photos is a great way to do that), keeping all your photos - you never know when you'll want them, taking lots of pictures, making sure you have great light and the light is coming from the right way, and more! 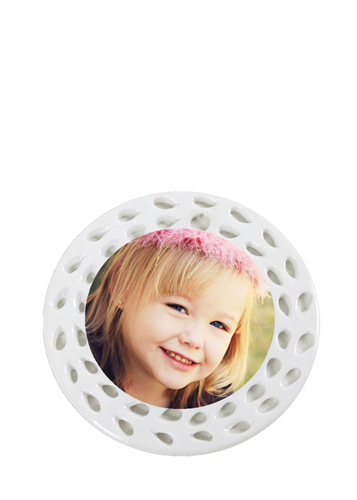 You can also get even more tips at the Shutterfly Family Photo Site! Disclaimer: I received compensation for this post. All opinions are my own.